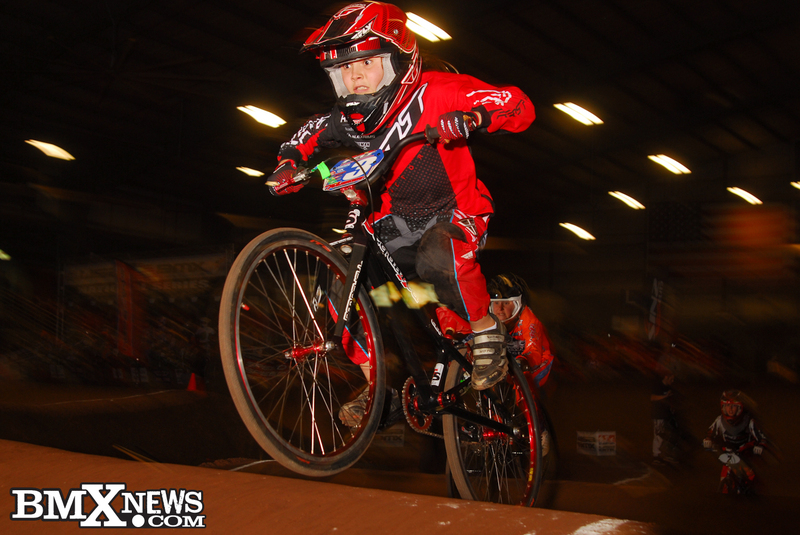 Churning and burning, they yearn for the cup..."
The first thought that entered my mind was that the 307 moto turnout in Morristown, TN, for the USA BMX Volunteer Nationals was amazing. If you weren't there, you missed it. By "it", I mean all of it---- the sun, the rain, the tornadoes, the snow, the noise, the dirt, the first turn treachery, and some of the greatest amateur racing I've ever witnessed. 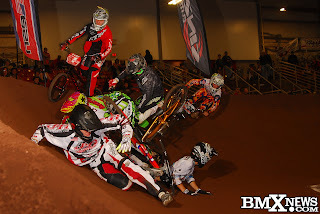 We quickly learned that the ease of the first straight allowed for many expert riders to go into the first turn together, causing constant collisions and slide-outs. Their prowess is potent and secretly stern"
Cole Tesar, Felt SC Action Sports, takes the highline in a typical first turn scene. On the other hand, intermediates still intimidated by lippy jumps and steep rhythms, thrived on the track. Wyatt loved the track, only complaining that, "the first turn's a little bumpy". 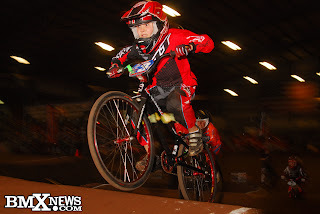 Wyatt soared through motos, quarters and semis in both classes Saturday, finishing 6th in 8 cruiser, and 3rd in 8 intermediate. Sunday, fatigue set in. Wyatt was unable to clear motos in cruiser, and crashed in his 8 int. quarter after waking up from a nap. By Sunday, Wyatt had had enough. William had only minor difficulties in 10 cruiser on Saturday. 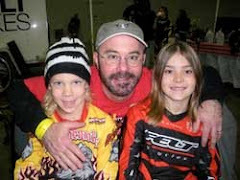 After crashing in round one, he easily cleared the second moto and semi, taking a 2nd in the main, on the heels once again of Roman Jaworsky. "But he's striving and driving and hugging the turns..."
William's face says it all. 10 expert was a different story. The top riders were all there, and then some. A rider count of 39 left no room for error, bad luck, or whatever else you want to call it. William drew gate 1 for Saturday's semi, and while he tried to push out and move over to a better line, it wasn't enough to get him a transfer spot. He sucked up his disappointment and became determined for day two. William had a repeat of Saturday in 10 cruiser, again taking 2nd to Roman. 10 expert had him anxious though, especially when he turned up in gate 1 again for the semi. Fortunately, the gate gods were with him and his snap was good, allowing him some room to move over into his line, and safely transfer to the main. 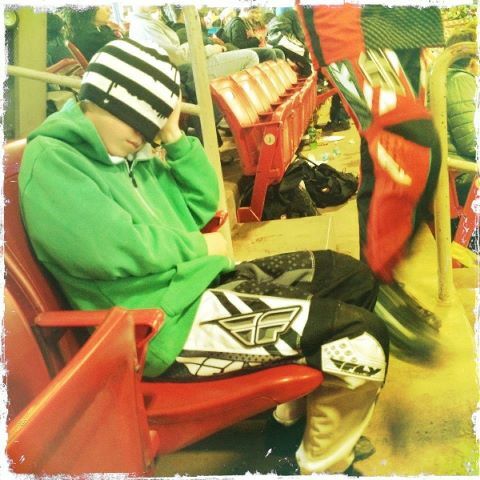 "Still driving and striving as fast as he can..."
William finished 4th in a disappointing 10x main. Don't get me wrong. Out of 7 racks, we're thrilled with 4th place. William somehow landed gate 1 again for the main. Unable to move to the right, his left pedal hit the first turn barrier, causing him to unclip and come to a complete stop. 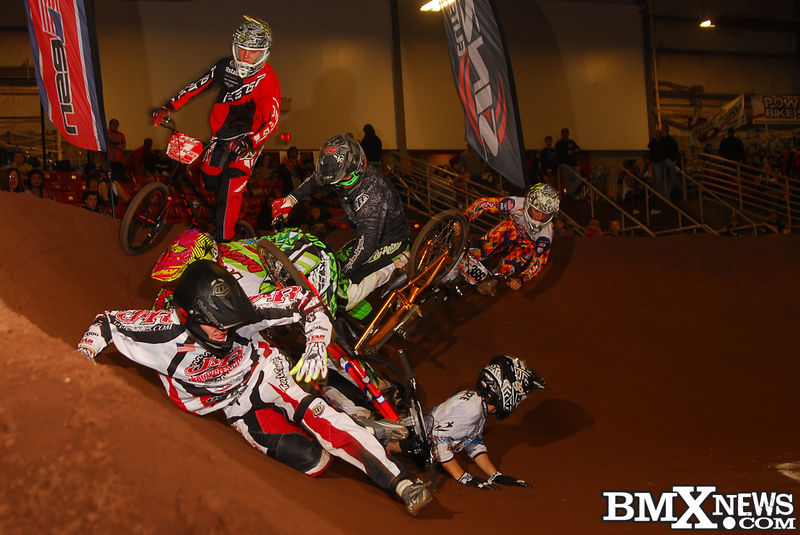 Two riders attempting to go around William in the turn, slid out together, while the two top riders crashed on the next obstacle. William was the first out of the five who wrecked to get going again, allowing him to take the 4 spot. "I feel worse today after that than I did yesterday after not making the main", William said. He couldn't stand it. He wanted to know how it should've been. "In his mind, he's still driving, still making the grade"
Because I've been strong-armed by two rhinoceros beetles, we will see you in the Lone Star State. Love it! And the rhino beetle. who knew?